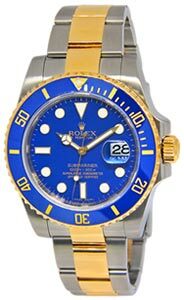 Near mint preowned mens Rolex Submariner (ref. 16610; F-serial number with service papers dated 2017) in stainless steel. Recent service by Rolex(please see documentation). Retail: $8,550.